Can we imagine the world without colours? Not at all! Nature itself has ma y colours, which makes the world look beautiful. Colours are indeed the smiles of nature. 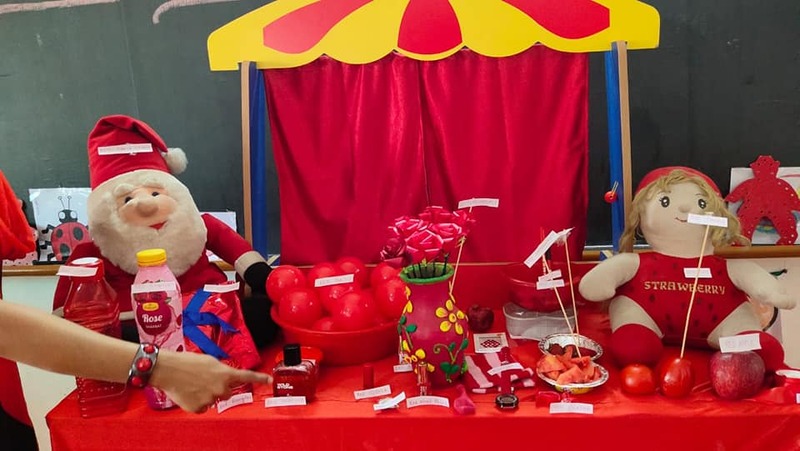 With this objective the students from NURSERY and JR. MONT celebrated “Red Day” on, Saturday, 06 April 2019. 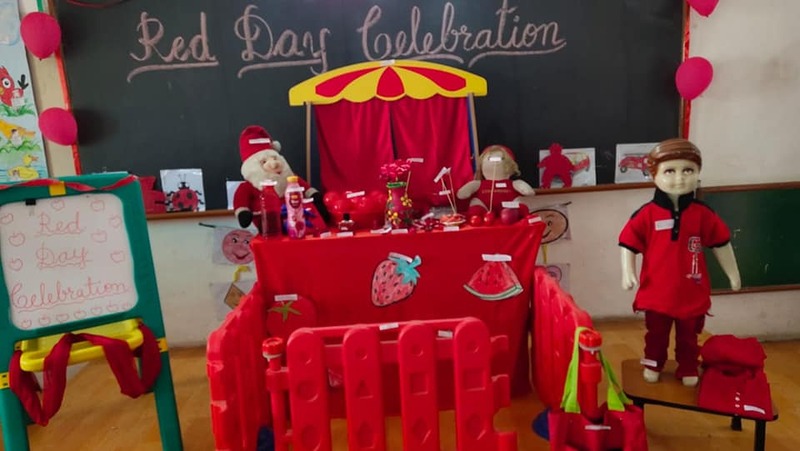 The ‘Red Day’ celebration was a wonderful learning activity which helped children to understand the concept of Primary Colours. Red colour also signifies Love and Compassion. 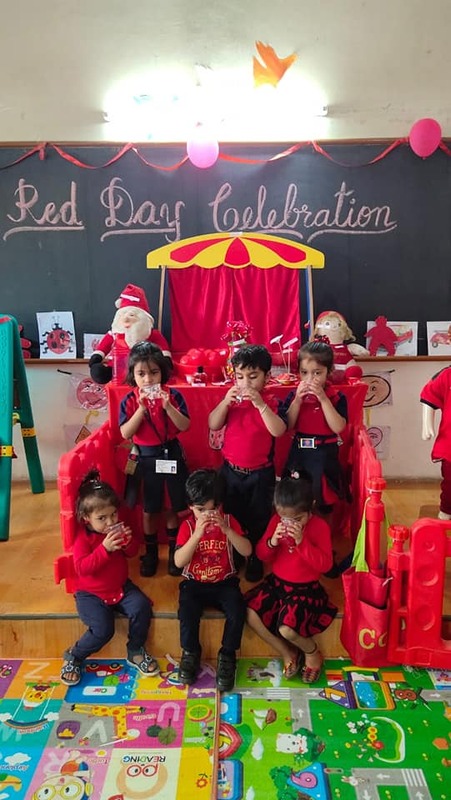 To mark this day very special, students and the teachers were dressed in red clothes. 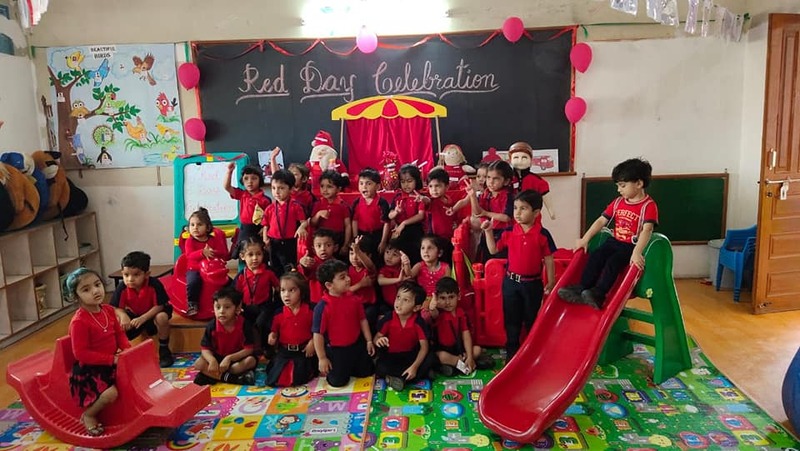 Classes were decorated with red balloons. 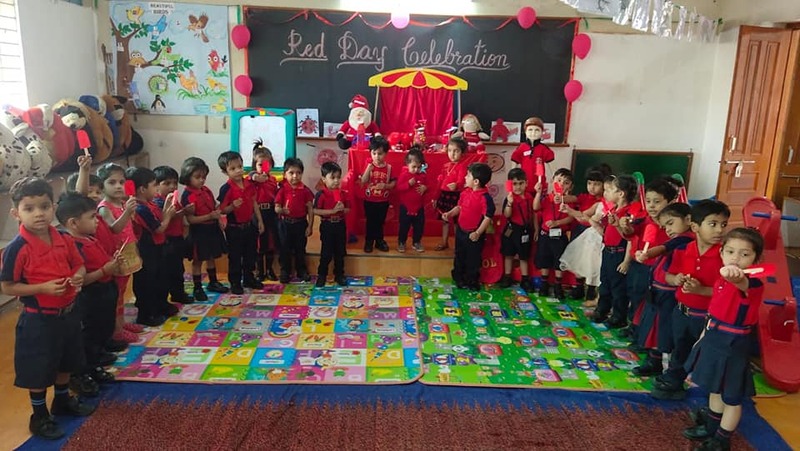 Students actively participated in story narration and rhyme recitation. After that, they had palm printing activity. Everyone enjoyed colouring and printing their own hands.